This post is sort of a follow-up to a previous one from the fall of 2015 title Aftermath, which dealt with the fallout from a tragic event at the annual OSU Homecoming Parade in which a woman drove her car into a crowd of onlookers and killed four people including a young boy and a woman named Bonnie who worked in the my building on campus. My family and I were at the parade a few blocks away from the car crash and almost everyone I talked to in the following days had some kind of connection to the event. That’s life in a small town, really. Friends were at the same intersection and narrowly avoided getting hit. Coworkers had just seen Bonnie and her husband a few minutes prior to their passing. Church members were near the scene, and even a student of mine who was in the military was so close he was one of the first responders at the scene offering help to those who were hurt. It was a rough time for pretty much everyone in Stillwater and the intersection of Hall of Fame and Main Street (seriously…Main Street. How much more Americana can you get?) is, to this day, memorialized with flowers and signs like what you see here. The morning I took this picture I was biking to work on an uncharacteristically warm day in January which also happened to be the day that the woman who was responsible for the tragedy was finally brought to justice. About two hours after I took this picture she accepted a plea deal and will spend the rest of her life in prison–a result about which I feel strangely ambivalent. Putting this woman in jail will not bring the four people killed back to life, and yet the punishment at the same time feels almost a bit light. No one really knows why she did what she did, and even the woman has indicated she feels remorse for her actions. But at the same time I wouldn’t really want her to go scot-free either (not that such an outcome was ever an option.) To be honest I’m not really sure what justice would even look like in this case, but at least now the town has what might be called a sense of closure from the ordeal almost a year and a half ago. In the days following the accident there were signs of shared pain throughout the whole town, and the message on that small little handmade sign rings true: nothing brings people together quite like a shared experience, and even moreso when the experience is one of profound pain, grief, sadness, or tragedy. The inevitable hashtag, in this case #StillwaterStrong, started showing up on social media almost immediately afterwards, but even today that simple compound word can be seen on signs, shirts, and vehicles all over the city. I bike past that same intersection almost every day and looking at the photos of the four people, especially little Nash Lucas, who were killed still makes me tear up a little. 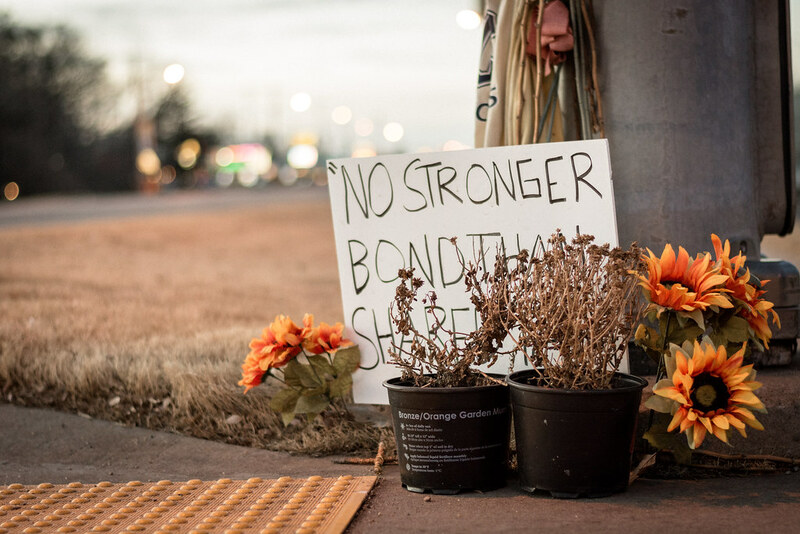 While hearing the news that the perpetrator will no longer be a danger to anyone else in society certainly brings a sigh of relief, many people here in Stillwater remain as frustrated, angry, and confused as ever simply because there doesn’t seem to be any reason behind what she did. And I think it’s that vacuum of logic that makes this whole incident strike a little deeper as a result. So to Nash, Nikita, Marvin and Bonnie…you are missed and you will continue to be missed. And every time I walk past Bonnie’s office on the way to mine I still think about her smile, her charm, and her relentless positive attitude with which she approached every aspect of her job. I do hope their families can sleep a little easier, and if nothing else all this serves as yet another reminder to me to give my wife and two little boys just one more hug before heading out the door in the morning. What a fitting memorial to lives that were needlessly lost and a reminder that none of us know what the day will bring. Thank you for writing that, David. You said in one sentence what I tried to say in an entire page. Prayers for peace in the hearts of those left behind. Thank you, Tom. That’s really nice of you to say. I have just prayed for the souls of Nash,Nikita,Marvin, and Bonnie. I have also prayed for you and the people of Stillwater may you and the people of Stillwater find peace in the love you have for each other and also for the love of those that are missed every day. May our Lord continue to comfort you in this difficult time. Thank you Daniel. I’m sure I speak for many people here in Stillwater when I say your prayers are very much appreciated and it really means a lot to hear you say that.